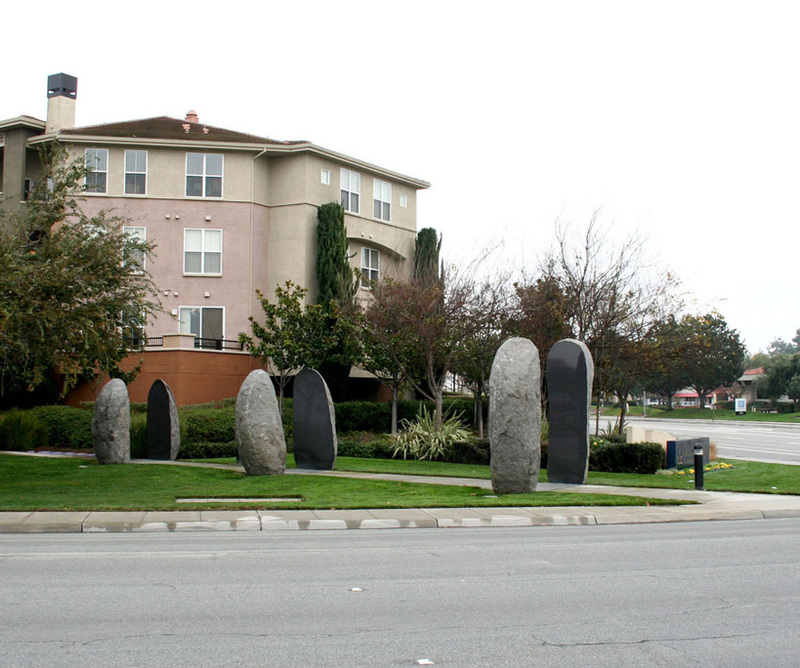 I was asked to work with a major pedestrian entry way into a large apartment complex in Sunnyvale, CA. 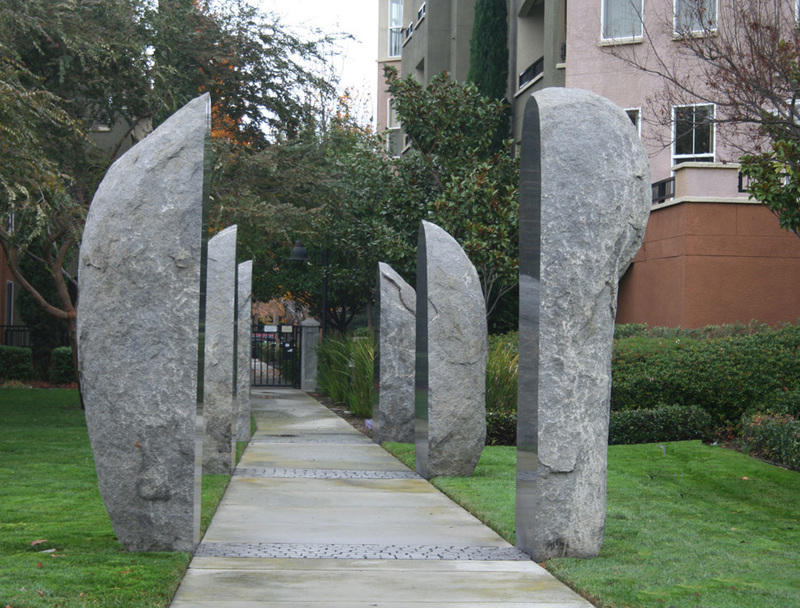 They wanted a piece that was both visible to automobile traffic, yet at the same time enhance the experience of entering the site on foot. 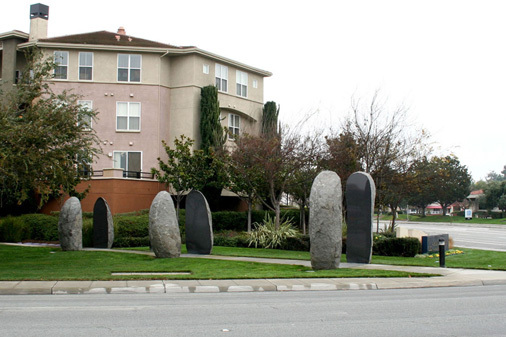 Schisms has the scale and the drama to be a significant element of the busy intersection yet for the pedestrians who walk through these series of cleaved boulders it acts as a transition between the traffic and home. Graduating down in size (starting at 12’ high, then 10’ culminating at 8’H farthest from the street) from heroic to human scale each pair is silent, still, reflective.